Every adventure you experience in the awesome 2019 Keystone Bullet 272BHS will be one to remember! 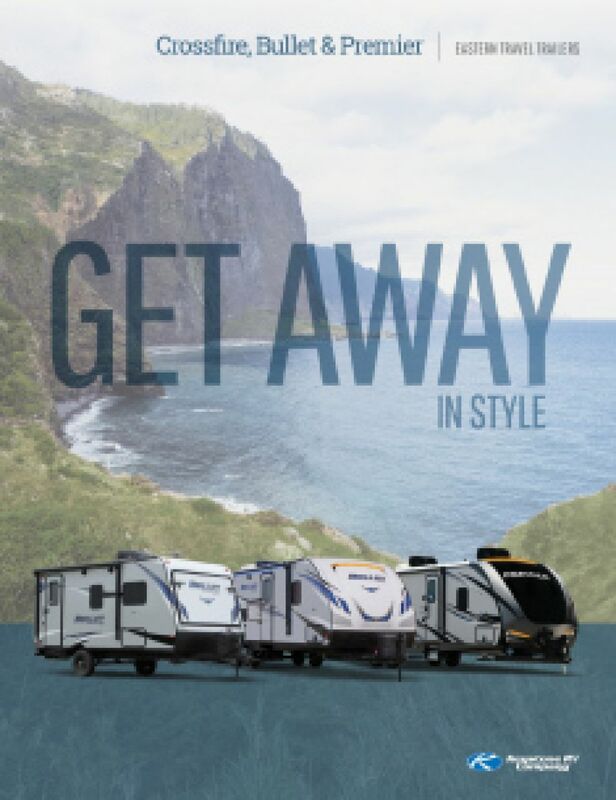 You'll find this superb Travel Trailer and other great RVs at National RV Detroit, the best RV dealership in Belleville - and beyond! We're located at 44700 N I 94 Service Dr Belleville Michigan 48111, and you can tour this amazing RV, or any of the other top brands on our lot! Give us a call and talk to one of our friendly RV experts at 734-439-3400! You'll learn how you can save $1000s on your dream RV and be on the road in no time! Once you've reached your destination, you can easily pop out the 15' 0" awning and enjoy some welcome shade and UV protection! This rig has a GVWR of 7610 lbs. and a hitch weight of 610 lbs. The 1 slides maximize the living space in this 31' 3" long, 8' 0" wide Travel Trailer! When the weather takes a turn for the worse and the whole family has to huddle inside, you won't be suffering or feel stuffed! 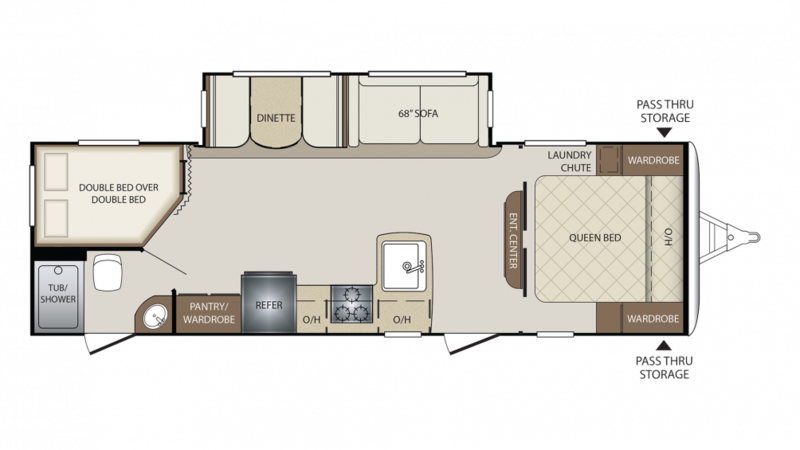 This RV is a spacious 31' 3" long, 8' 0" wide, and 10' 8" tall! The interior's temperature can stay cozy and stable too, with the 30000 BTU furnace and 13500 BTU a/c unit. You'll feel like you're sleeping at home in the roomy Queen bed inside the master bedroom of this Travel Trailer! There are handsome furnishings for clothes and sundries, so you'll enjoy comfort and privacy every night! Up to 10 people can sleep in peace and quiet! When you're on the road in the Keystone Bullet 272BHS, you won't have to settle for campfire snacks or fast food to feed your family or guests. This terrific Travel Trailer comes with a fabulous kitchen, complete with a 3 burner range cooktop, 6.00 cu. ft. refrigerator, and other modern appliances! And clean-up is a breeze, thanks to plenty of hot water from the big 43 gallon freshwater tank and generous 40 lbs. of LP tank capacity! Whether you want to take a leisurely, hot shower in the morning, or just prefer warmth, privacy, and convenience to the cold, damp, crowded community bath facility, you'll enjoy all that and more in the roomy bathroom that comes in this RV, with its modern shower and convenient Foot Flush toilet! No worries about running out of hot water, thanks to this RV's generous 40 lbs. of LP tank capacity and big 43 gallon freshwater tank! Dirty water and waste are stored in the 30 gallon gray water tank and the 30 gallon black water tank, respectively. Got children? Extra guests? They don't have to settle for tents to sleep in! Instead, let them sleep comfortably in the Bunkbeds inside the bunkhouse!